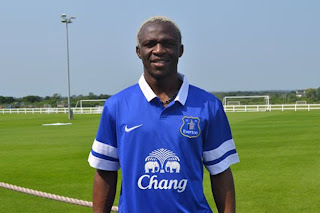 News has emerge from our official website, that Everton shall be donning Nike kits for 3 seasons. It will be interesting to see the designs Nike can offer. They use to have awful jerseys, and usually produce one design and merely change the colour to fit the team. That was in the past. In recent times, they seem to have understood the strong link between the supporters and their Kit. Every Kit ought to be specially designed for that team. In any event, Le Coq has been an excellent designer. They have been brave and colourful (who can forget that pink strip last season). The 3rd Kit of 2011, the Vanilla one, stands out as an outstanding jersey. This season home jersey with a dash of yellow is classy. Even the 2010 jersey was classic re-visiting the 1985 jersey also made by Le Coq then. We will bide goodbye to Le Coq and welcome Nike.